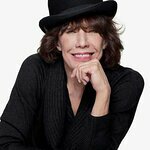 The one and only Lily Tomlin will host The 2013 Women’s Media Awards this year. Jane Fonda, Robin Morgan and Gloria Steinem, Co-Founders of the Women’s Media Center, made the announcement. This celebration will be held on October 8th at 583 Park Avenue in New York City. Tables and tickets can be purchased now. This is the one night each year when The Women’s Media Awards honors game-changers for women in media. By deciding who gets to talk, what creates the debate, who writes, and what is important enough to be visible, the media shapes our understanding of who we are and what we can be. “In addition to Lily’s comic (and dramatic) genius, her deep dedication to women’s rights and social-justice activism is important and inspiring,” says Robin Morgan, Co-Founder of The Women’s Media Center. “As a long time friend and colleague I have watched Lily use her fame to shine a light on important issues, particularly those that help and promote women, and she continues to make a difference in significant ways,” says Jane Fonda, Co-Founder of The Women’s Media Center.